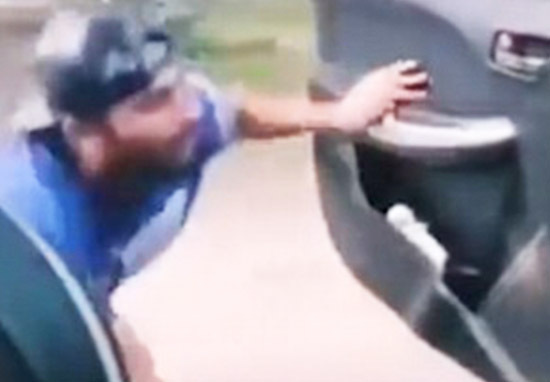 Known as the ‘in my feelings challenge’ – or the ‘Kiki challenge’ – it involves people getting out of a moving car and dancing to the song In My Feelings by rapper, Drake, which is a cut from his latest album Scorpion. Spain is one of the many countries taken over by the dance challenge craze and reports have already surfaced of car passengers falling out of vehicles or smashing into lampposts. All in the name of internet clout. Sounds like they need to retake their driving test again – both theory and practical. Spanish police believe the latest social media challenge, which is up there with eating Tide Pods and hot pepper, will lead to someone seriously getting injured or killed, according to the Mail Online. Labelling the craze as ‘bonkers’ on their Facebook page, they went onto say it was not how internet comedian Shiggy intended the original challenge to be. If I’m being honest, this challenge looks stupid – all this for some clout on social media? I don’t want to come off as a killjoy – by all means have fun, as long as no one gets hurt and it’s in no way disturbing or illegal – but this can’t possibly constitute as entertainment? It just seems so pointless? You know what? I don’t blame Shiggy, I blame Drake. He’s not even a proper rapper/MC, is he? He’s a decent R&B artist who can spit hot fire verses (which have been ghostwritten for him allegedly). But when he goes up against a real rapper, he gets exposed for harbouring a secret love child. Look, Drake is good in small doses but I can not handle a whole album’s worth of his music… I’d rather listen to the entire Boyz II Men back catalogue. But I digress, a webpage started by Spanish officials, Driving in Spain, shared a video compilation from police officers in Boadilla, Madrid. Teenagers should avoid carrying out ‘#in my feelings challenge’ in a vehicle. A vehicle is not a toy – use it with responsibility! In the United Arab Emirates, authorities have vowed to crack down on anyone attempting to take part in the challenge as it puts their lives and the lives of other motorists at risk. According to the Arabic newspaper, Emarat Al Youm, officials want road users to obey traffic laws including, wearing seat belts and remaining in vehicles. It’s absurd motorists need to be reminded of basic road safety rules.